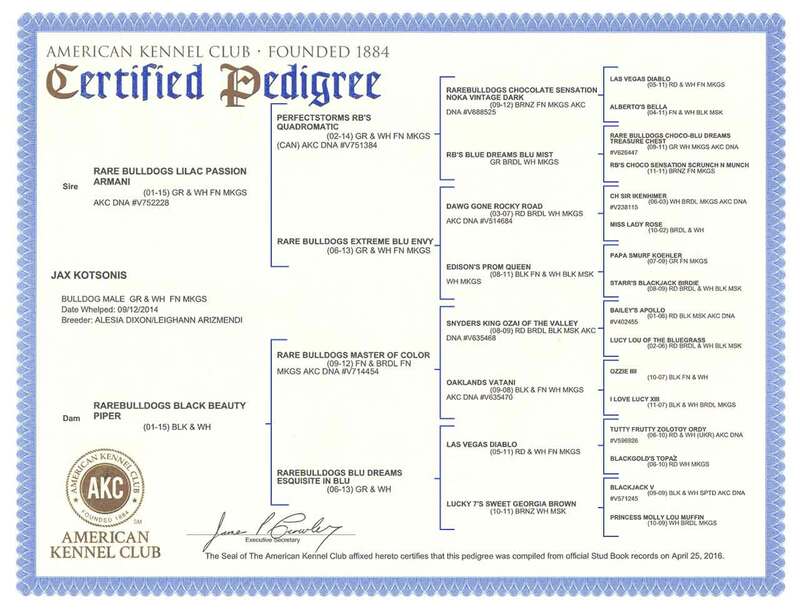 Here are the pedigrees for our puppies. Our sire and dams are not for sale. However, their puppies are for sale. Jax, “Mr. Handsome,” is a rare blue QUAD color sire. Whether he is out on the town with his groupies or hanging out at the pool, Jax is always cool and the center of attention. 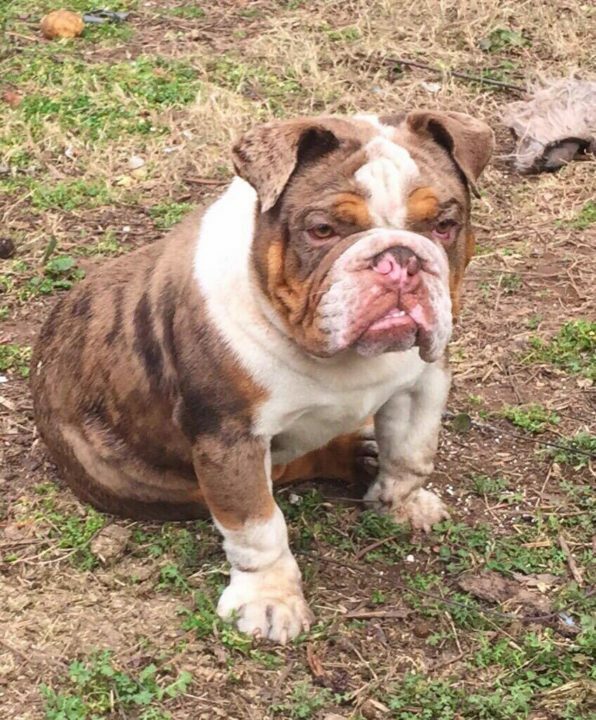 Jax is an incredibly rare breed of English Bulldog. His color patterns, stature and demeanor are all highly desirable a pet or a sire. 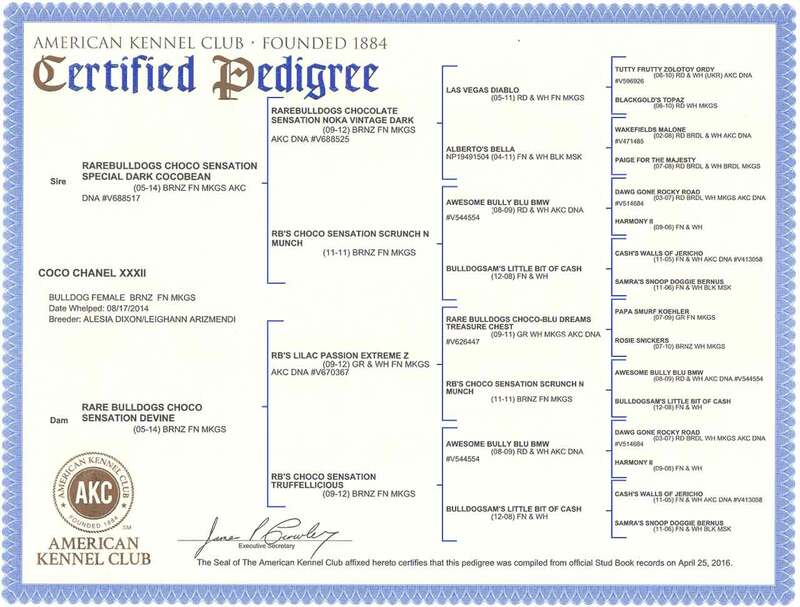 He is a very loving father of every litter that he sires and is also a certified service dog. 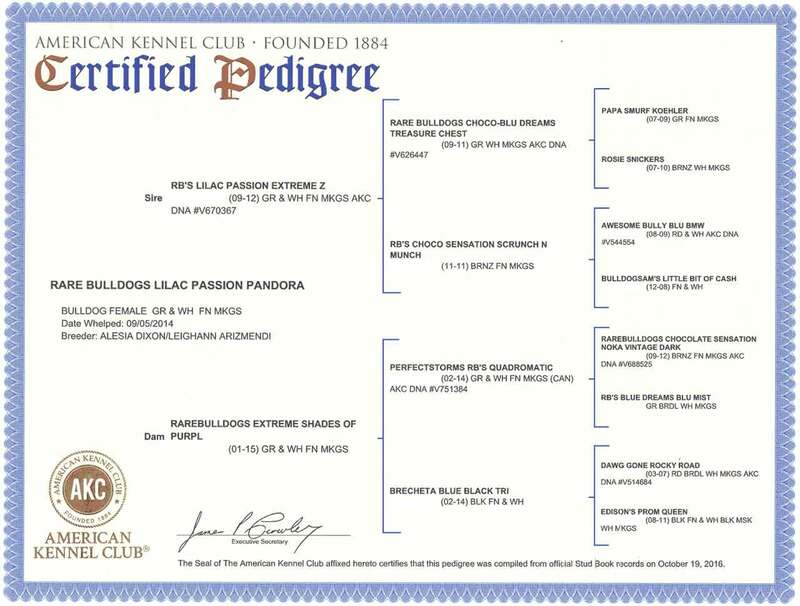 Pandora our “Lavender Lover” is a unique, lavender Quad color English Bulldog dam. 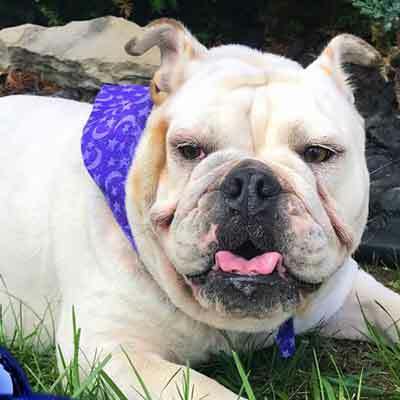 Her playful and spontaneous personality captures the heart of everyone she meets, which is perfect because socializing with new dogs and people is one of her favorite hobbies. 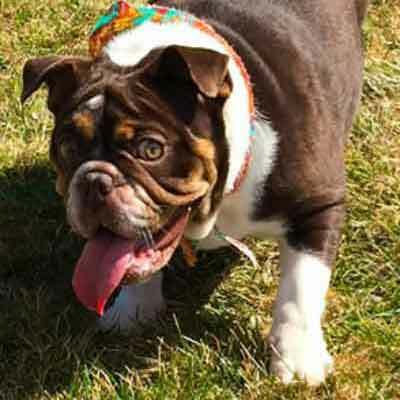 Coco, “Coco Chanel,” is a rare chocolate and white quad color English Bulldog dam. She is extremely relaxed and has loving nature. She makes an excellent pet and puppy mom, because cuddling is her most favorite of things to do. 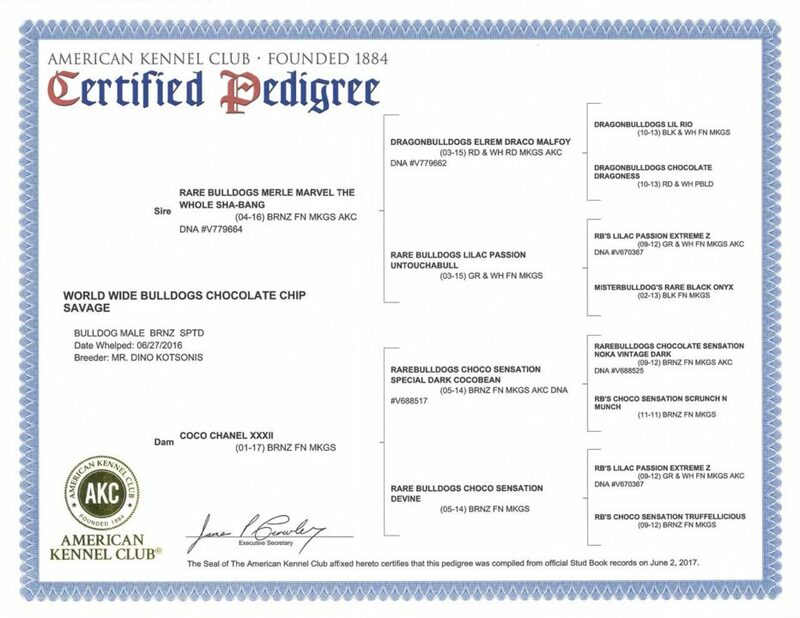 Chocolate Chip is a rare Chocolate Merle sire. 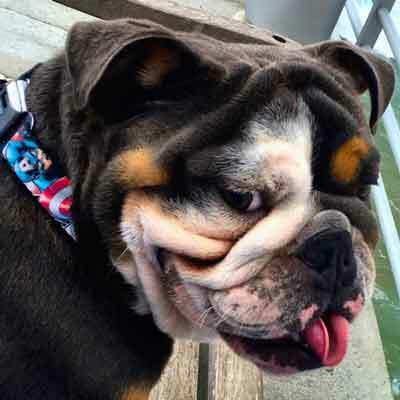 Chocolate Chip is an incredibly rare breed of English Bulldog. 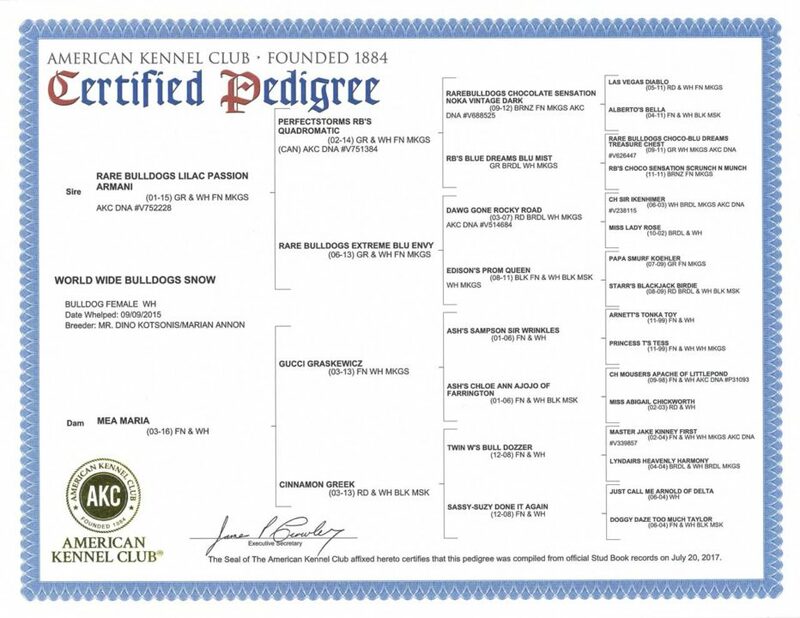 His color patterns, stature and demeanor are all highly desirable in a pet or stud. He is a bundle of energy and really enjoys “Tongue out Tuesdays” as you will see in his many social media photos. Snow is a rare White and Tan Dam. 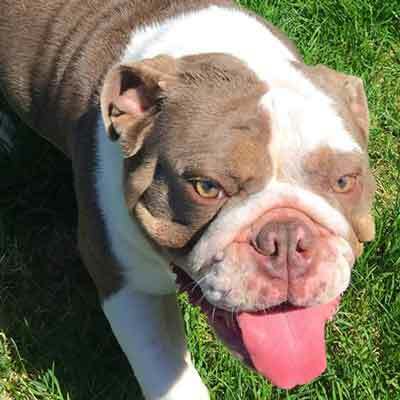 She is very light in color and her puppies have been very desirable. Snow has a very calm demeanor and is wonderful with children. Her puppies often display similar characteristics and share her personality.